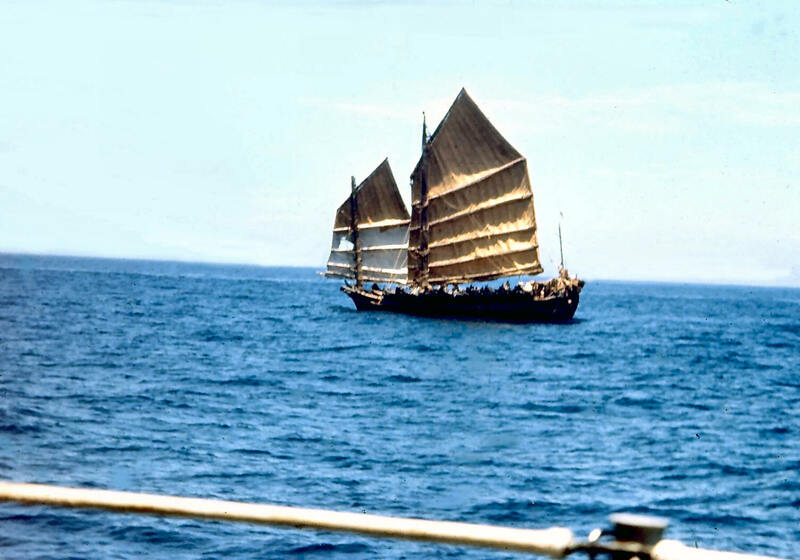 Mail call at sea - taken while on SAR duty -1967 off the coast of Viet Nam. 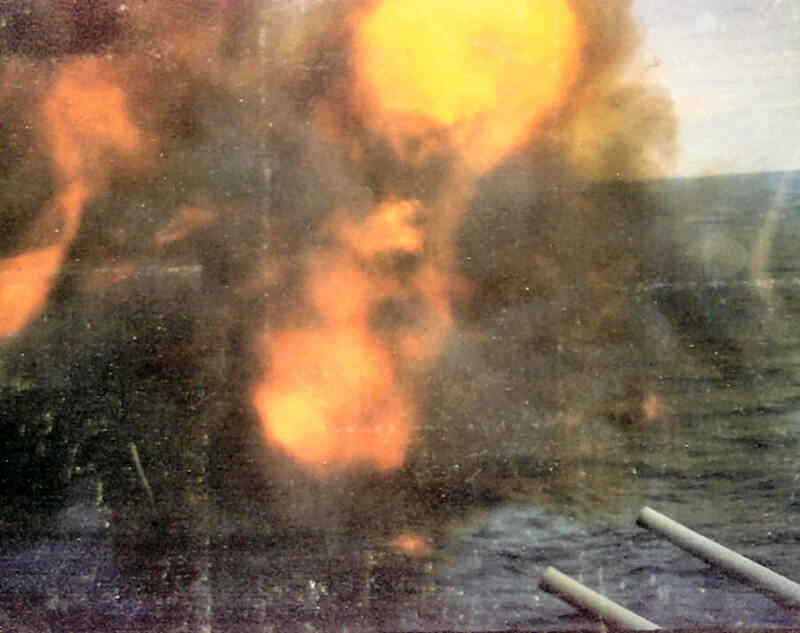 Halt, Collett fires her 5" gun thru the sail. 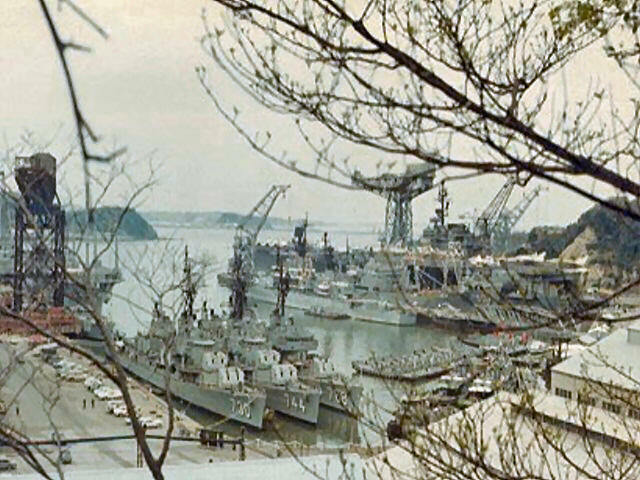 Photo taken about 1967 near Da Nang. 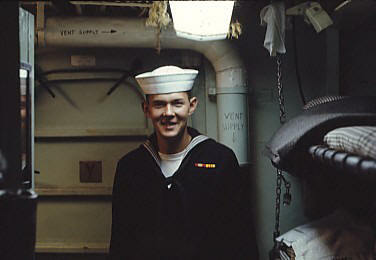 Mike Ledger - photo taken in R-Division Quarters about 1968. 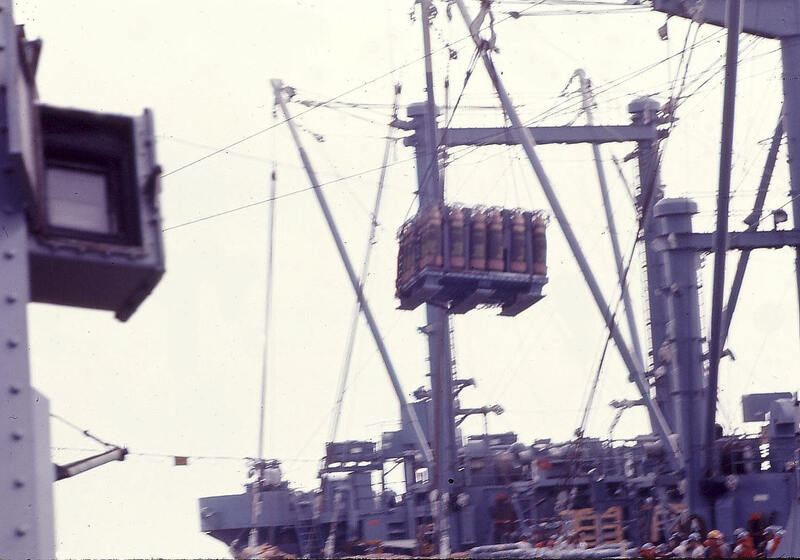 Ammunition transfer at sea. 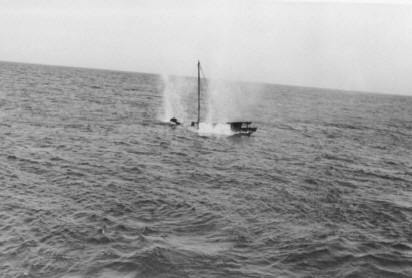 Photo taken about 1968. 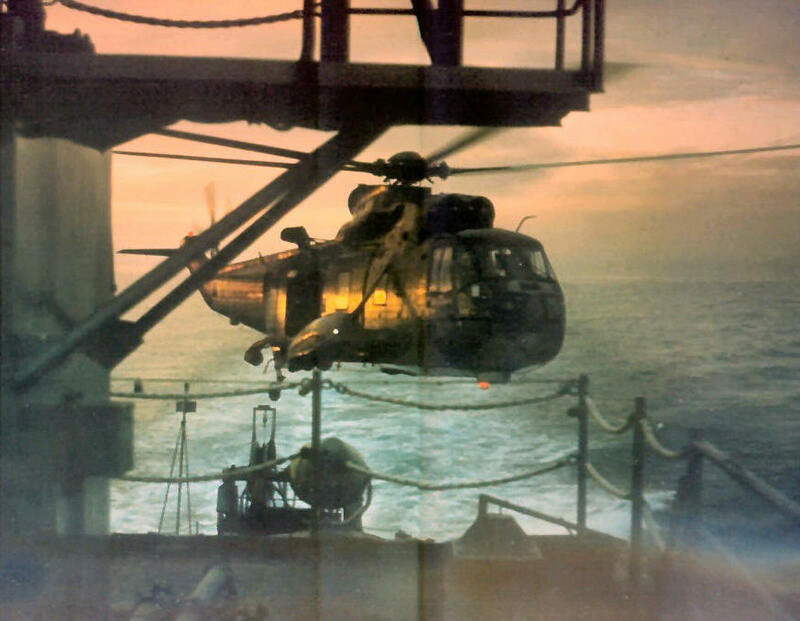 This photo was taken as Collett was being shadowed by a Russian Trawler and someone in the ship's Admin. wanted us to create a mystery rocket. Jim Glaze MM1 assisted in building this thing out of an empty powder casing and some cardboard material. 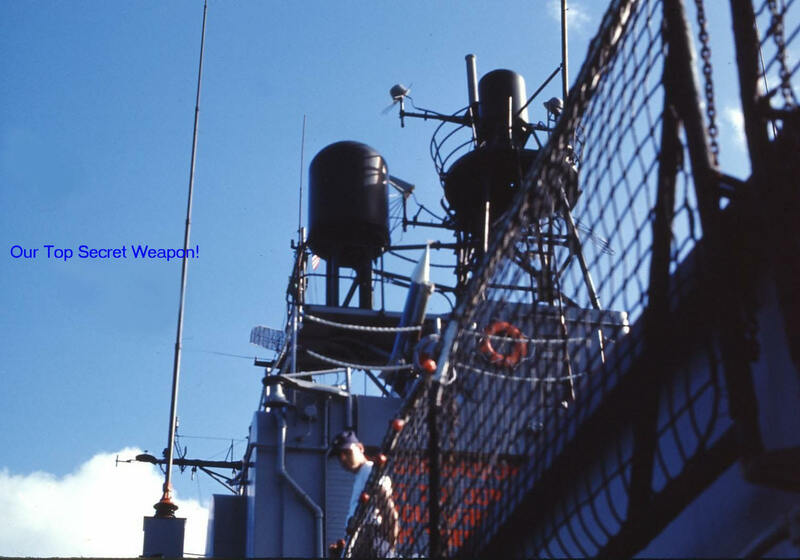 Can anyone identify the sailor looking down off the flight deck? 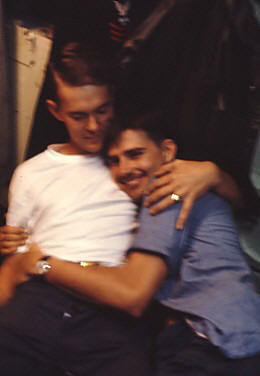 Larry Koontz EM2 and Virgil Preece on a ski trip to Nikko, Japan, 1967. 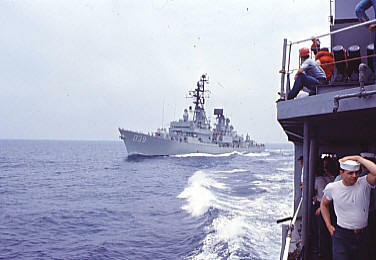 Collett steams away after exchanging crewmembers with the HMAS Hobart. 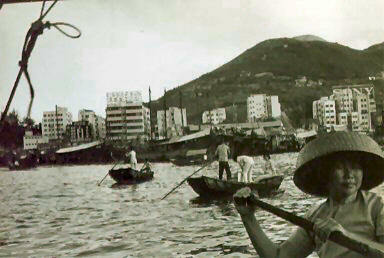 John Frederici EM1 is in foreground holding his hat in this 1967 photo. 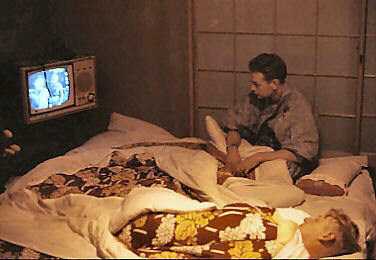 EMFM McLeod. I don't remember the first name. He was from Peachtree, Georgia. 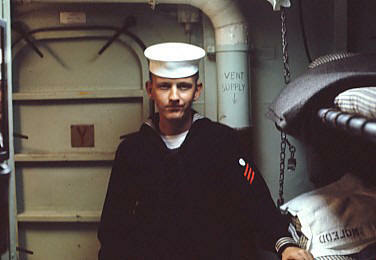 Photo taken aboard ship, 1967. 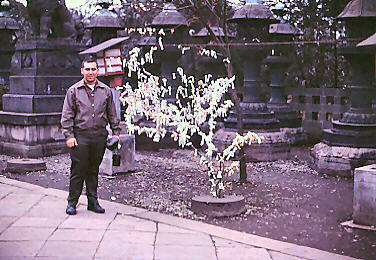 Mike Steffell IC3 standing in front of a prayer tree, Kamakura, Japan, 1967.